Wee Walks Week: Are you as active as you think you are? Which is the truth when it comes to being active and living longer. When you make the decision to be more active, to feel fitter or just a bit less breathless, it is easy to be put off by images of ‘gym bunnies’ and ‘buff men’ breaking out into a sweat. But being active isn’t that hard, it doesn’t require any special equipment and it can be done anywhere. Want to know the secret all gym owners try to keep from us?………………It’s going for a walk! We walk everywhere, every day, whether it’s to drop the kids at school, walk to the shops or even getting up from the sofa for another cup of tea. This is a good start, but to make a real difference you need to add a bit more into your routine. It’s easy to say “but I do walk everywhere”, those short trips between the desk, the toilet, the car, the sofa and then to bed, surely that’s walking. But, if you were to tot up all those ‘walks’ you’d find you haven’t walked very far or for very long at all. To be really effective you need a step change. Walking has been described as possibly the best form of exercise, as it is good for body and mind, is free, and can be done almost anywhere! For adults, the minimum recommendation from doctors, to help keep you healthy and prevent illnesses such as heart disease, cancer and diabetes, is 150 minutes of activity a week. That might sound a lot at first, but break it down and it is only 30 minutes a day, 5 days a week – and you could even break that down into chunks of ten or fifteen minutes and spread them out over the day. If you’d rather not walk alone, or you’re not sure where you can walk nearby, how about joining a Health Walk group? Health Walks are fun, free, short walks for all abilities led by friendly volunteers. They’re open to anyone who would like to benefit from walking regardless of your health or fitness. They take place across the National Park every week and you don’t need to book, just come along and join us for a walk, a cuppa and a chat! So next time you are walking to the shops, or walking back from the school drop off how about taking a longer route? And if you’d like to find out more about Health Walks near you, take a look at www.cairngorms.co.uk/healthwalks. The Lochan Trail, Aviemore starting at the entrance to the Craigellachie National Nature Reserve this short trail will take you around the banks of Loch Puladdern. 0.5 miles (800m) approx. 15 minutes. The Heron Trail, Boat of Garten this all-abilities wee walk takes you from the village around a purpose built path at Milton Loch Woodlands. 1 mile (1.6km) approx. 30 minutes. Gynack Mill Trail, Kingussie a walk along the Gynack burn through woods on good paths with interpretation panels describing the natural surrounding and historical context. 1.5 miles (2.4km) approx. 1 hour. River Walk, Nethybridge a circular walk alongsie the River Nethy and through pine woods. 1.5 miles (2.4km) approx. 1 hour. Woodland Nature Trail, Tomintoul a short trail with a variety of labelled native trees and shrubs to allow you to brush up on your identification skills. 0.33 miles (0.5km) approx. 15 minutes. 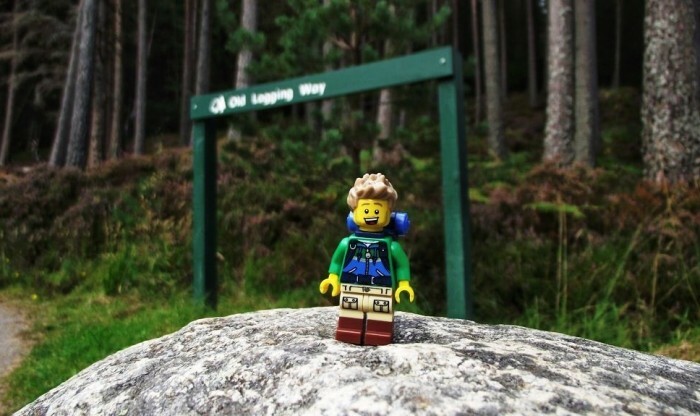 Are you a Wee Walker, or would like to be? Take part in Wee Walks Week between the 16th of 23rd of September by pledging how many miles you will walk here. What is Wee Walks Week?